Sometimes the most obvious Vicodin addiction symptoms are simply observing that something is wrong or different. Understand that the one addicted is most often the last one to know there is a problem, or be willing admit that there may be a problem. I can HANDLE it, LEAVE ME ALONE! Addicts will say they can handle it, or they can quit anytime. The trouble is the Vicodin has them by the throat like a hound dog shaking a raccoon. - Does the person feel like they need to have the Vicodin regularly, every day or more than every day? - Do they make sure they have a steady supply of their Vicodin on hand? - Maybe they want to stop, but they just can’t. - Because they can’t stop, they will do things they normally would not do to get the drugs. - Do they need the Vicodin to function normally? - Are they willing to do something dangerous while on the drug, like operating a motor vehicle, or some kind of equipment that can cause bodily harm? These could be Vicodin addiction symptoms that you should assess either in yourself or in the person you’re concerned about. Denial is rampant with addition so as you make the assessment try to be as honest and objective as possible. Also try to think about how things have progressed in the last six months. Are there more signs now then there where six months ago? If you are visiting this site because you have concerns for a friend or loved one, you are probably going to see what's going on long before they do. People who are addicted do not necessarily see the whole picture. If you are concerned about a family member, friend or coworker, there are a few questions to ask in helping you’re assessment. 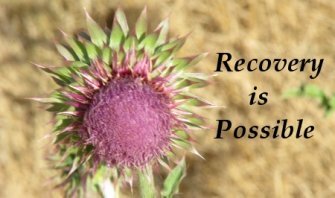 Addicts will continue to use regardless of everything that is happening to them and happening around them. They may drain the family bank account, lose their job, fail in school, damage relationships, ruin their health, or run into problems with the law. If you are questioning your own Vicodin use, ask yourself some questions. Have you developed a higher tolerance for the drug. Does it take more and more of your Vicodin of choice to get the desired effect? 1. Has their appearance changed; they don't care how they look? 2. Are they eating properly? 3. Have they lost weight, or have they gained weight? 4. Have you seen needle marks on their arms or legs? 5. Are they slowing down? 6. Do they have the shakes? 7. Are their hands cold and sweaty? 8. Have you smelled something on their breath, or their clothing? 9. Do their eyes appear red? 10. Are their pupils dilated? 11. Is their face puffy? 12. Has their coloring changed, become flushed or pale? 13. Do they have a blank stare? 14. Has their physical coordination changed? Are they staggering? 15. Have they missed a lot of school, or work? 16. Have their sleep habits changed? Are they always tired? 17. Have they become lazy? 19. Do they talk a million miles an hour? Do they slur their words? 20. Have you seen Vicodin paraphernalia? This list is by no means an exhaustive list of Vicodin addiction symptoms, and even if they/you have these Vicodin addiction symptoms, it doesn't necessarily mean a person is addicted. Try to avoid being judgemental or jumping to conclusions. But also don't deny what is right in front of you! Another problem is simply that addicts see their behavior as your problem. Even if they are in trouble and need help, they believe the problem is not with them, but with everybody else. Even if you are correct in assessing Vicodin addiction, understand that the addict will blame you for accusing them. Think of it this way, your relationship with them may be the key to their recovery. If they pull away from you and others, it could lead to their falling deeper into addiction. We encourage you to seek professional counsel from a Vicodin addiction therapist, or a physician if you think there is a problem. Please don’t wait too long! Nowhere is Vicodin addiction more heartbreaking than in the case of parents who suspect something is wrong, but do not have the tools to recognize what is going on with their son or daughter. Here are some of the things to look for specifically with kids. School: Is your child keeping up with their school work? Have they lost interest in going to school and look for excuses to stay home? One suggestion to follow is to call the school and keep track of your child’s attendance in class. Are there days when you think your child has gone to school, but the attendance records do not match up? Children who are in trouble with drugs will often begin failing classes, not turning in homework assignments or in general just fall behind. “I can’t believe Johnny is failing math, it was always his favorite subject.” A new pattern has emerged and it isn’t pretty. 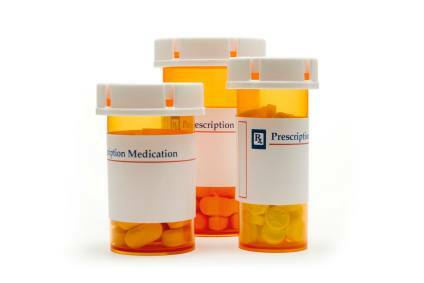 To Learn more about Vicodin addiction symptoms in teens please click here. Health: As a person slips into addiction a variety of physical signs can point to Vicodin abuse. Are they listless all of the time? Kids don’t want to get up in the morning, but they don’t always refuse to get moving. Weight loss and weight gain are signs. The eyes are often an indicator. Has the life gone out of their eyes, or is there a major change? Appearance: This can be a difficult area to discern, as fashions change and often times what adults feel is acceptable dress may not have anything to do with current trends. Watch for changes in dress. Does a child lose interest in how they look? Kids want to fit in and there is peer pressure to influence the way they dress. Girls, especially, are bombarded with images on appearance. Attitude and Behavior: As children enter their teen years it is natural for them to want to break away from the family. When kids go to extremes to make sure you don’t know who they are with or what they are doing, the red flag should go up. When they become secretive and guarded, when their privacy at home prevents your open access to them, there may be something beyond mere adolescent rebellion. Perhaps their only interaction with the parents is to ask for money, and when asked why they need money they refuse to answer, or become indignant. Worse yet, they may steal items from home to buy drugs.